fiestaturbo.com stickers with the revised (non-italic) logo are now available. High quality computer cut vinyl in white and yellow. 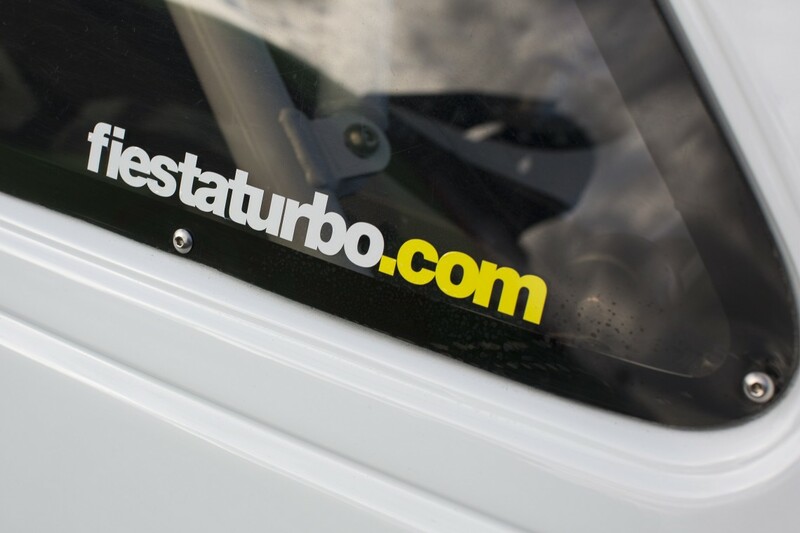 Show your support for the site and add a dash of stylish colour to your car! Lovingly despatched in strong “do not bend” cardboard envelopes and sealed with an oily fingerprint and dab of 15w50 Mobil 1.